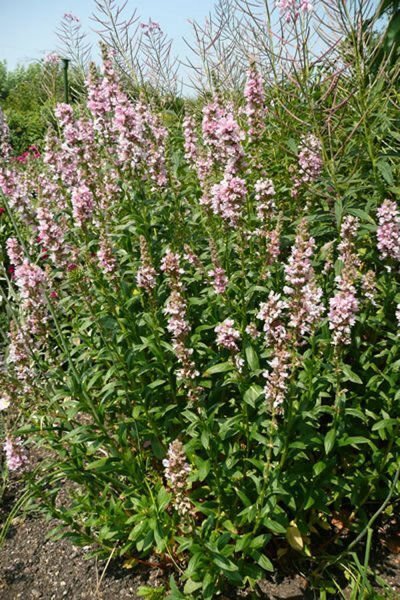 Purple loosestrife 'Blush', loosestrife 'Blush' and spiked loosestrife 'Blush'. 1.5m height by 50cm spread. Prefers moist to wet soil. Happy in any soil type so long as it is sufficiently wet. 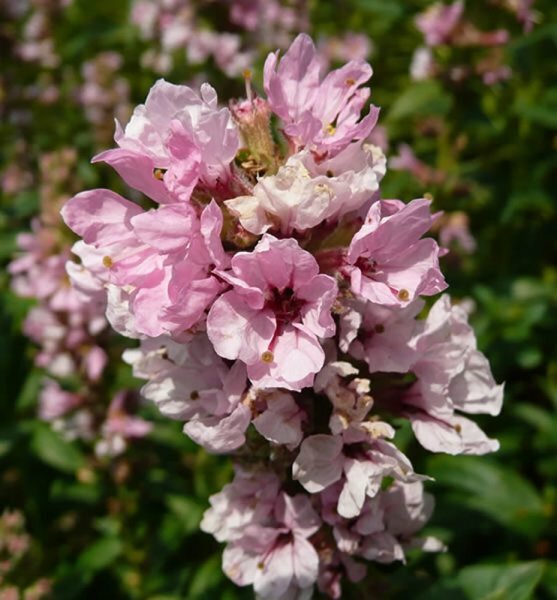 Long heads with clusters of pretty pink flowers appearing from summer through to autumn. The stems are square (when viewed in cross section). Good for waterside plantings and bog gardens as it likes moist to wet soil. Can also be used in borders and beds or in containers (if kept well watered). Happy in coastal situations. Deadheading is important as this plant can self-seed and become quite invasive. Deadhead throughout the flowering season and cut down the spent stems to ground level in late autumn. 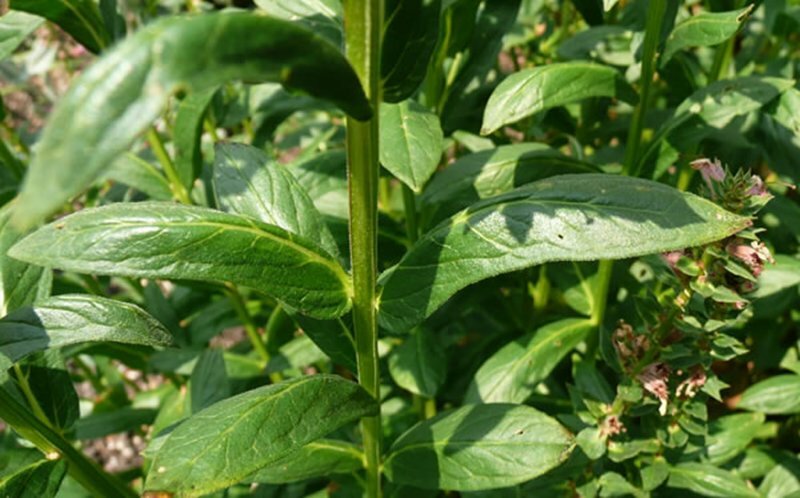 Divide the plant or take basal stem cuttings in spring. Alternatively, it can be propagated by seed in spring (the sown seeds should be kept warm, around 15°C). May be targeted by slugs and snails, but is generally disease free. The species Lythrum salicaria is considered a major weed in many areas, particularly in northern USA. Each plant can produce up to 2.7 million seeds each year and, therefore, may quickly become invasive and crowd out other plants. The name Lythrum derives from the Greek ‘lythron’, meaning blood. This may refer to the plant’s medicinal use in controlling bleeding. It is also used as a diuretic and for soothing irritated tissues.